Suraj Louisandra Apartment in Dadar (West), Mumbai South by Suraj Estate is a residential project. 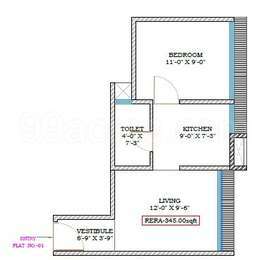 The size of the Apartment ranges in between 345.0 sq.ft. 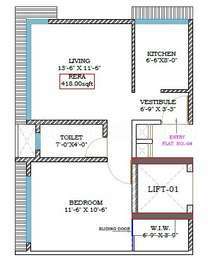 and 1033.34 sq.ft. 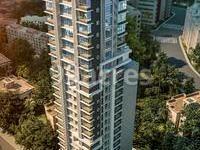 Suraj Louisandra Apartment price ranges from 1.40 Cr to 3.40 Cr. Suraj Louisandra Apartment offers facilities such as Gymnasium and Lift. It also offers services like Garbage disposal. This is a RERA registered project with registration number P51900010078. It is an under construction project with possession offered in Jun, 2021. The project is spread over a total area of 0.69 acres of land. Suraj Louisandra Apartment has a total of 1 towers. The construction is of 22 floors. An accommodation of 71 units has been provided. What is the location of Suraj Louisandra Apartment?The location of the project is Dadar (West), Mumbai South. What apartment sizes are available in Suraj Louisandra Apartment? The project offers apartments sized between 345.0 sqft and 1037.0 sqft. 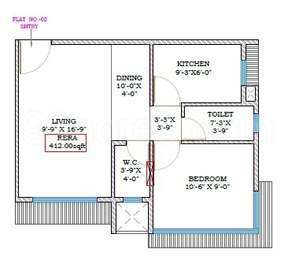 What is the area of 2 bhk in Suraj Louisandra Apartment? The size of a 2BHK unit in the project ranges from 821.0 sqft to 1037.0 sqft. How much is the actual area of Suraj Louisandra Apartment?The area of the project is 0.69 Acres. What is price of 1 bhk in Suraj Louisandra Apartment? 1 BHK apartments in the project are available at a price of Rs. 17556000. Bank, Union Bank, National Stock Exchange of India; to name a few. Some of its remarkable developments are Suraj Tranquil Bay 1, Suraj Palette and Suraj Ave Maria.